Earlier this year, Australian guitarist, vocalist and songwriter, Ed Kuepper reunited with former sparring partner drummer Mark Dawson to re-imagine the Kuepper classics Electrical Storm and Today Wonder in their entirety. Those shows proved so popular , selling out all Spiegeltent performances in Melbourne, Brisbane and Darwin as well as further headline shows in Newcastle, Sydney and the Gold Coast, that Ed and Mark decided to continue with the reformation and expand on that original idea. Loosely described as “ambient-rockabilly”, the new two-piece show sees Kuepper (acoustic guitar and vocals) and Mark Dawson (drums) presenting selections not only from those two albums but also from material from right across Ed’s lengthy career. 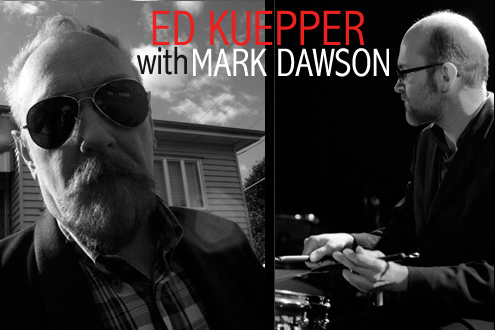 Ed Kuepper and Mark Dawson will present this show over two sets with no support. Don’t miss this rare opportunity. spiegel.artscentremelbourne.com.au or phone 1300 182 183 (transaction fee applies). Venue Box Office, FringeTix outlets & Venue*Tix outlets.